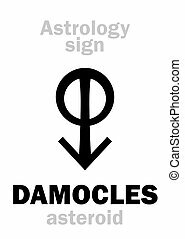 Damocles. Cartoon about life insurance. 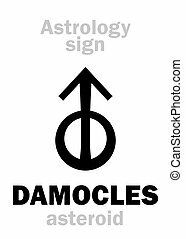 Astrology Alphabet: DAMOCLES, dangerous asteroid. Hieroglyphics character sign (single symbol). 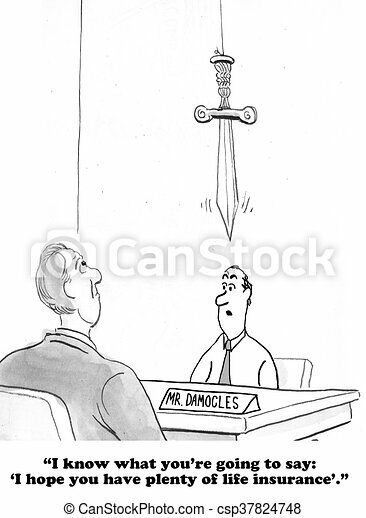 Sword of Damocles hanging threatening on a rope. Isolated vector illustration on white background.